This article was first published on the European Commission's website. The Commission’s proposal for the post-2020 ERDF/CF Regulation provides for a new instrument providing coherent support for cities that builds on all thematic priorities of the Urban Agenda for the EU (UAEU) and covers all urban areas: the European Urban Initiative (EUI) (Article 10 of the ERDF/CF Regulation proposal). This proposal is in the context of the current, 2014-2020 programming period, background of a highly fragmented governance structure and stakeholders’ representation. This initiative aims to strengthen integrated and participatory approaches to sustainable urban development and provide a stronger link to relevant EU policies, and in particular, cohesion policy investments. It will do so by facilitating and supporting cooperation and capacity building of urban actors, innovative actions, knowledge, policy development and communication in the area of sustainable urban development. 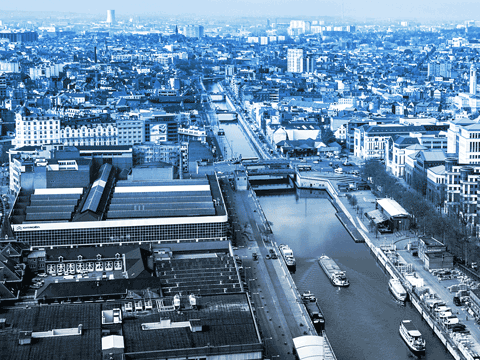 The proposed EUI is aligned with the Pact of Amsterdam (point 38) that calls upon the European Commission to “further strengthen in a transparent way its coordination and streamlining of policies directly or indirectly impacting on Urban Areas, in order to enhance the complementarity of the policies and strengthen their urban dimension, in particular in the areas of Better Regulation, Better Funding and Better Knowledge”. This memo describes (1) a possible intervention logic and (2) a possible governance structure for the implementation of this initiative proposed by the Commission. It is based on the content of the Commission’s regulatory proposal.